Last month, after tossing and turning in a creaky, supportless, too-springy, sad excuse for a bed, I had enough. It was time to get a good night’s sleep. So, my boyfriend and I started contemplating the possibilities of a better bed. Our friends suggested Casper, a supposedly wonderful mattress. It sounded nice, but it lacked the je ne sais quoi we seek in all our purchases. We’re weird. We like devices, especially when they have motors and apps and Alexa integration. So we kept looking. In our search, we found the raw egg test video from Purple, this weird new mattress company with a seriously eye-catching aesthetic. That quickly spiraled us down a super fun YouTube rabbit hole of all Purple’s product videos. By the time we met the robots showcasing the brand new PowerBase, we were sold and reaching for our wallets. How could I resist the PowerBase of my dreams? Being a marketer myself, I was as fascinated and delighted by their approach to branding as I was by their product. Their marketing played a HUGE role in my decision to buy not just one of their insanely comfy mattresses, but the PowerBase too. After we took the plunge, the waiting game began. We quickly realized we had no idea if a queen size mattress base would actually fit up two flights of stairs in our old New England apartment, so I turned to Twitter for a quick answer. Now, this is where my schoolgirl crush turned into a full-blown Sting-level obsession. Their social media game was On. Point. @sam_the_editor Hi Sam, it basically shows up already put together. I hope you have strong friends or good neighbors. This back and forth continued well after I (successfully) got my base into my apartment, and it not only made my experience one for the books, but it turned me into a devoted customer. I’ve already indulged in their one-of-a-kind sheets and have plans to get my hands on their pillows next. What does my new bed have to do with marketing? 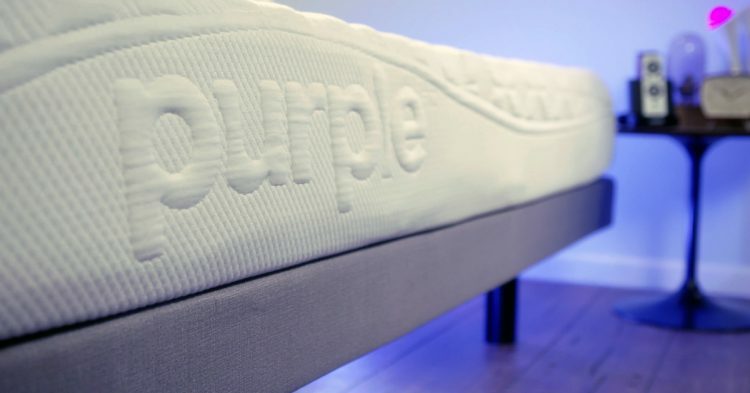 I’m not trying to sell you a mattress or sleep-related product (but if you’re in the market, you really should check out Purple. It’s sooo worth it!). What I really want is to highlight the power of their digital marketing. Because they’re doing pretty much everything right, and setting a good example for marketers everywhere. Purple Communications Queen* Savannah Turk, who actually came to work at Purple from the content marketing agency that helped with their first Kickstarter back in September 2015, was kind enough to take some time and chat with me about Purple’s digital marketing efforts. 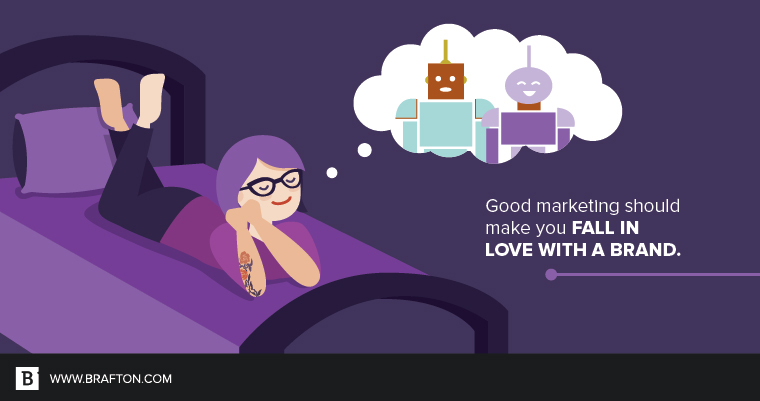 Purple: Redefining comfort and marketing from the ground up. Now, she heads up the communications marketing for Purple, a startup comfort product company in Utah that specializes in innovative, transformative (and addicting) furniture. The reason she left agency life? *Yes. That’s her actual title. At Purple, you get to choose your own. I think it’s just right. 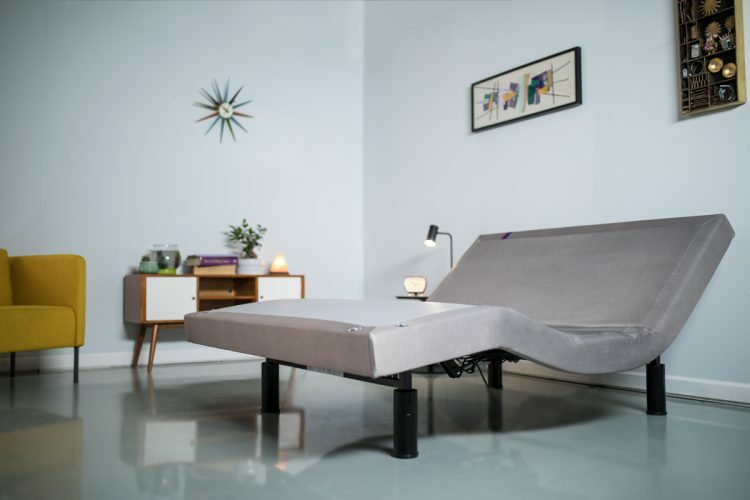 Purple got its start with a Kickstarter campaign to launch their innovative, futuristic mattress design in September 2015. When they launched, one of the founders’ daughters was tasked with developing the brand messaging for the campaign. And it worked. They’ve developed a very strong, hard-to-ignore brand that sets them apart from the other out-of-the-box mattress companies that have been popping up, and the company has only continued to grow. In fact, their video marketing game is so strong that they set the bar for their niche. Their video marketing is such a major part of their content marketing strategy that they built a studio in their warehouse. Savannah told me they are able to film the majority of their content right in their own backyard, bringing in key video talent to assist the in-house videographer. They’re also expanding their video marketing efforts. If it ain’t broke, why not keep building it? They recently hired their first in-house animator to explore that style of video as well as making moves to harness the power of live video, especially through Facebook. 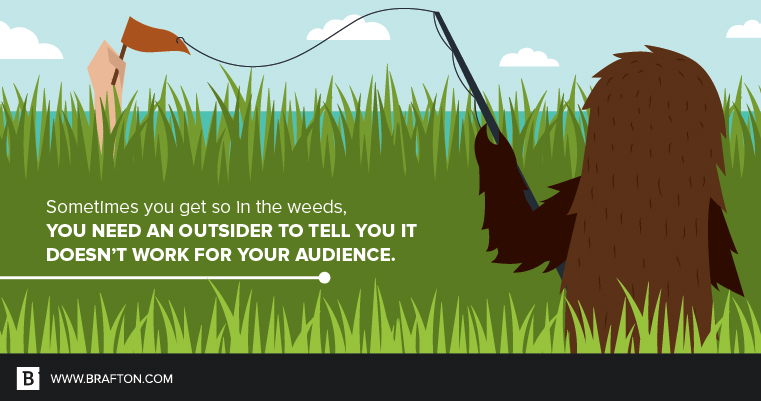 What does start-up marketing look like from the inside? Purple is doing what lots of brands do with their marketing team these days. They’ve got a core group in-house, including the video team, and work with a handful of agencies to fill the gaps, which Brafton CEO Richard Pattinson agrees is a great way to get the best of both worlds. While Purple has a good staff on hand for day to day needs, they also recognize the key advantage of having an external agency on board as well. Purple currently works with a handful of third-party agencies, including a small ad team based locally in Utah as well as directly with companies like Amazon and Twitter. For the most part, Savannah told me this really hasn’t been a problem at Purple yet. That’s not to say that every single piece of content they’ve created has been wildly successful though. “Our biggest failure right now is we have some messaging that doesn’t always quite work, some videos that don’t resonate with people as well as other ones,” Savannah said. When they create something that doesn’t meet expectations, Savannah and her team will look closely at what was and was not successful. Beyond some campaigns not being as wildly successful as others, Savannah modestly told me the main issue they’ve faced is that their marketing is SO GOOD their production teams can barely keep up with demand. Tough problem to have, right? If my adoration for Purple has piqued your curiosity, go check out their site*. The marketing is awesome, but it’s also backed by a really cool, really innovative technology. *This recommendation is purely my own and is not in any way affiliated with Purple or Brafton. Purple did not ask me to plug their products. I just cannot help myself. Try it. See for yourself.